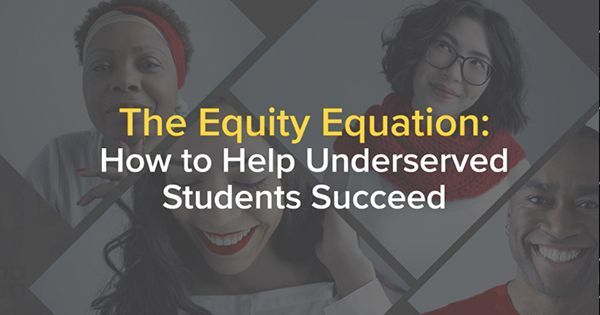 NEW YORK (March 25, 2019) – McGraw-Hill is inviting college instructors to join a live virtual event on March 29th featuring one of the country’s leading experts on equity in higher education. The event is the next in McGraw-Hill’s Virtual Professional Development Series, which brings together instructors to learn about the most important topics and trends in the classroom. This upcoming event features Professor LaShana Stokes, who will discuss how institutions can create equitable learning environments and help more students succeed. She will also share teaching strategies that are aimed at helping underserved students. McGraw-Hill believes every student deserves the chance to succeed – in college and beyond. To help students excel in school, graduate and go on to have productive, fulfilling lives, the company has strengthened its commitment to affordability, educational equity and helping educators increase student achievement. Dr. Stokes is an educator with 17 years of transformational leadership in student affairs, academic affairs and the classroom at HACC, Central Pennsylvania’s Community College. Her roles included Dean of Enrollment Management, Dean of Student and Academic Success, Department Chair of Social Sciences and Assistant Professor in Foundational Studies, which offers first-year experience classes. “The most important moment in a student’s educational journey is found at the crossroad where purpose, passion and persistence meet. This is the catalyst for college success,” said Professor Stokes. McGraw-Hill’s Virtual Professional Development Series is built for instructors. It gives faculty opportunities to watch, grow and learn by hearing live from industry professionals and fellow professors on topics that matter in education. McGraw-Hill is a learning science company that delivers personalized learning experiences that help students, parents, educators and professionals drive results. Headquartered in New York City, McGraw-Hill has offices across North America, Asia, Australia, Europe, the Middle East and South America, and makes its learning solutions for PreK-12, higher education, professionals and others available in more than 75 languages. Visit us at mheducation.com or find us on Facebook, Instagram, LinkedIn or Twitter.